Why am i always falling asleep when i try to astral project? The Astral Pulse > Astral Projection & Out of Body Experiences > Welcome to Out of Body Experiences! (Moderators: Stillwater, Selski, David Warner, EscapeVelocity, Xanth, floriferous, Szaxx, LightBeam, ThaomasOfGrey, Nameless) > Why am i always falling asleep when i try to astral project? title. every time i try to astral project i somehow fall asleep. anyone know how can i avoid falling asleep? Re: Why am i always falling asleep when i try to astral project? One technique is to hold your arm up while laying down to sleep and every time you drift off your arm will fall and wake you up. There are also audio tracks available that will wake you up every 20 minutes or so. i tried but every time i fall asleep. i tried the hand technique but it didn't work and i couldn't find the audio tracks you were talking about. do you have more tips? p.s i am always doing it at night. maybe in the noon it will be better? At night your more likely to fall asleep, so try in the morning, or noon like you suggested. Also, work with a single technique for several weeks, maybe with energy raising and concentration exercises as well. It can take a while to become comfortable with it - discipline is a must. Let's say someone uses the rope technique everyday for 3 weeks, but doesn't have a projection. Some might get frustrated and immediately think that technique won't work for them, and move on to the next, then the next. But 3 weeks is nothing in the scope of things, and this early in training there's a lot more to it than just a proper technique. You have to have concentration, focus of awareness, relaxation, etc., and it takes a while to build and balance all of it. I can't stress the importance of concentration - no technique will work without it. It comes more natural to some than others, but it's necessary. I have been trying to have oobe's for over two years and get to the point of partial lift out, then get jerked back in. however i did have the same problem, of falling asleep. there are three things I would recomend to cambatt the "Falling asleep problem" first is to throw your sleep habbits off wack. On weekends or when you dont have work try sleeping in the day so at night or when you try, you wont be as tired, but hopefully still able to relax. you can also set your alarm clock to go off after you go to bed, in order to train your mind to stay awake longer. set an alarm for 20 mins for the first day, then 40 the second day, 80 the third day, 160 the fourth day. try to stay awake, untill the alarm go's off". and do this every night, and when you are extremely tired. also do energy meditations. to energize the mind/relax the body. good luck..
Old question but still worth answers. Perhaps you are avoiding the very path you need to take to successfully project. We are not all the same and many of us project through lucid dreaming. Can't have a lucid dream, if you don't fall asleep. State your intent and go to sleep, it should happen naturally - sooner or later. It's usually a matter of focus. If you lose your focus, your consciousness will drift off to normal sleep. Exactly! But then you will wake up in a lucid dream without all that worrying about doing it right. Works for me and I don't spend hours trying to stay awake while falling asleep. It sounds like a good method for a chronically sleep deprived society... as long as one can muster very strong and clear intent. That's what I keep seeing. People posting how they come home from work or whatever and spend hours depriving themselves of a decent night's sleep and driving themselves crazy trying to accomplish something that is quite natural. The only difference between conscious and non-conscious projectors is awareness. For heaven's sake (that's just an expression so don't go all bible on me). Just go to sleep with a conscious intent to project and remember your experiences. If it helps and falls within a persons belief structure - pray or meditate but still - go to sleep KNOWING it will work. It still might take a few tries but it is lot less stressful. It might not be easily possible to perform a wake induced projection at night. I find success by default in the early morning with 2 or 3 experiences, never at night. I am starting to think that it is a physical chemicals in your brain issue more than anything else. Those that have success at night time are most likely a special category where the mastery has progressed to the point that it doesn't matter when or where they attempt, furthermore, the odds are stacked against you at night. I don't have any advice to offer on wake induced projection; my confidence is shattered in this area from the negative momentum of hundreds of failures. On the other hand dream induced experiences come more easily, however, they are not the same unless you have the mastery once again. Odds of a successful wake induced experience...1% of attempts would be exaggerating unfortunately. Odds of getting into a dream experience, 300%, maybe even more per night. Odds of getting the experience you are looking for through the dream experience though and you are back to looking at less than 1%. I am not saying this to dash anyone's confidence but to try and deepen understanding, my own included. My theory is that whether the experience is induced by dream or waking you still need that mastery to achieve your goals or every wake induced experience will end straight away. Use the dreams as a grounds for boosting your non physical mentality. Once you master that, wake induced may still be hard, but the experience won't end in a few seconds maybe. This is slightly off topic but is just my perspective on how too astral project and why some people may struggle. We are bound by this realm in physical bodies. The way around this is to disconnect all your senses from this reality and then you can go from there. This can take practice as you need to be able to have a silent mind and a focused consciousness. The mind and our consciousness are not the same. You could label consciousness as a soul I guess... to put it in a better perspective. Dreams are indeed projections, lucid dreams and so on. however when it comes to a dream you let go of your awareness so you can sleep. If an untrained or inexperienced person tried to stay up so they could astral project they may not know that by creating forced thought or thinking in general is what can be holding them back from passing through to the non physical. If you think [Man that pizza was good] That is your consciousness sending it's intent to your mind and your mind then decodes that intent into our language. by doing this you to remain in the reality because your consciousness is sending signals to your physical mind in that reality. instead of thinking [Man that pizza was good] you need to realize that it doesn't have to be thought out but as consciousness you already have the answer and you knew the pizza was good. Right when the question or statement floated into your focus you already had the answer, however many people can't help but speak out that answer into our physical minds. Visualization and remote viewing are different because you create senses that are not reminding you of your body or mind in this reality but as if you aren't even aware of it. This then allows people to disconnect from our reality to the non physical. At times it isn't considered a dream because they are still slightly conscious or focused in our reality. To put this in a bit of a binary perspective consider our consciousness to be 0 receiving no input and any kind of input to be 1. If your senses are on or 1 your consciousness will stay in this reality as a 1 for reasons some may not understand. By disconnecting from all these 1's they all become 0's or off. 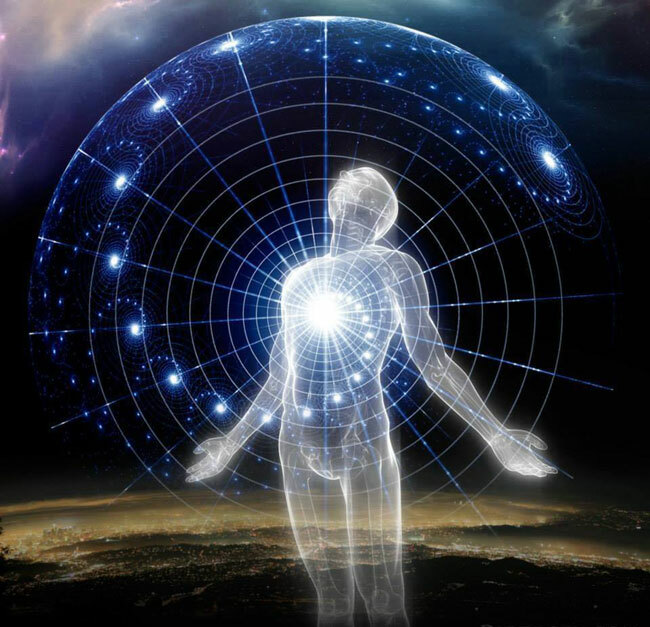 When our consciousness is at 0 it does not have any input and once your at 0 you can connect to any 1 be that any input you can or can't perceive at this moment. I realized in the non physical whenever I think of saying something I say it as I think it however this varies on intent on what you consider personal thought or if you were to talk to someone in the non physical. This made me come to the conclusion that actually thinking forced thought or words can be considered an input and can hold people back. This doesn't mean you can't think in the non physical but you need to cease human thought to completely disconnect from our physical bodies. I learned from anxiety by not acknowledging anxiety symptoms they don't exist. The same can go for acknowledging your mind and body inputs. If you don't acknowledge them they simply don't exist to you and you're not bound by your physical body anymore or said reality. Funfire, this could be at least two or three different threads and none fit this topic but they are excellent seeds for fruitful discussion. To say that "The mind and our consciousness are not the same. You could label consciousness as a soul I guess... to put it in a better perspective." is a key realization that would be a great starting point from which many could move forward in this OBE projection effort. How can you project something when you don't even know what it is that you are projecting? This is why so many people can't project OBE or even remember a dream. They are almost completely identified in their awareness with the physical senses. Until they make the effort to exercise the muscles of a more subtle awareness success in this endeavor will remain elusive. This is why I do not categorize a regular dream as a 'projection'. I associate 'projection' with intent and regular dreams happen regardless of intent. Lucid dreams don't really count either since they are just dreams that the conscious awareness (not to be confused with consciousness) infused itself by virtue of a habit such as a reality check, and human ego takes hold. Last night I was in a dream with my family and I began flying as I do so often. I became lucid and I turned to my family and asked, "why doesn't anyone else ever fly?. As usual I got no reply. I then flew away and dissolved the scene and moved into a weak level OBE state. None of these have the same quality as an OBE projection that I make from the waking state in the physical body and then making the intent to roll out of the body and then subsequently exiting the body with full conscious awareness. Another great concept is, "If you think [Man that pizza was good] That is your consciousness sending it's intent to your mind and your mind then decodes that intent into our language." But I think the consciousness does not really 'send intent'. Consciousness makes the intent to consume pizza. That intent precipitates as the physical act of eating pizza. It perceives a particular quality in the pizza and that perception precipitates into the human awareness as a positive experience and is labeled 'good'. If you think [Man that pizza was good] That is your consciousness sending it's intent to your mind and your mind then decodes that intent into our language. by doing this you to remain in the reality because your consciousness is sending signals to your physical mind in that reality. This is a good thought, but I think it is incomplete; some projection authors describe that it is perfectly fine and possible to project while those "monkey mind" thoughts are happening. However, it is necessary to maintain concentration while those background threads of thought pass through. I think of it like watching TV show that you are intent on not missing while a person is trying to talk to you. I have tested this theory from within an OBE by deliberately thinking of my body and this reality, which normally ends the experience, while maintaining a strong primary awareness of the room I was seeing. The experience remained as stable as ever. Maybe the bottom line is not to let the thoughts interfere with your primary focus or concentration. As long as you are using your "Monkey Mind" in the same way that you use "counting numbers" or any other focus technique like the ones found in my "Doorway" thread, there shouldn't be any hindrance at all. The goal is to keep your mind off of your immediate physical body, not to keep your mind blank. I hear people say they can't stay awake while attempting AP and I find that is because for some reason they think they need to empty their minds to project. When they empty their minds, they lose their conscious focus entirely. This is a skill that can be achieved with someone who already understands this Art to begin with and has plenty of practice under their belt. The duality focus is not for everyone, at least in the beginning that is. I think the "bottom line" is to find a focus technique that works for yourself personally. There are so many of them. People just need to find the one that works for them. That comes through experimenting. I find that the "pathway to success" is equal to the "being there". Both of them are experiences and we learn from them in different ways. I also find that when you keep a open mind, you will never find yourself in stasis. Once you think you know it all, the learning and teachings end. I was caught in that mode for awhile too. I see that thinking often on this Forum and others as well. I hear often here on this Forum how we come to this realm to experience "Love". That quote is half right. We come to this realm to "experience". Love is one of those experiences! Robert! Damn man! We really do sync on this topic... we just come at this from slightly different perspectives, but very similar perspectives none-the-less. The first two would probably drive some great discussion. The simple fact is that there are 7 billion experiences on this planet and they're all different... we'll never agree upon how those four (maybe more, maybe less) labels are actually defined. It drives the divisive nature of our subject. Sadly. That's an excellent point and one I came to as well. We're such physically-centered "beings", I'd dare say that most people haven't even come close to the capacity to look beyond the physical part of us. My own journey started with Robert Monroe and learning that we are "more than our physical body"... then it moved beyond 'learning' and into "KNOWING" that we are more than our physical body. Once that realization becomes part of your consciousness, there's literally no moving backwards from it. You're right in saying that they have to make the effort to exercise those muscles if they're truly to move forward. I still prefer to discuss a "dream" as a "projection", but I totally understand what you mean by using "Intent" as the driving factor in how you define your experience. It's actually a really good way of looking at it as such, I think I'll incorporate something of that nature in the next version of my book. Lucid dreams for me are more of a mixed bag experience... you're obviously not FULLY aware, but you're not NOT aware either. I've always described what I call the "non-physical lucid awareness experience" as your awareness being the actor in a play, who knows it's a play. It's when you know you're in a non-physical environment, but you don't have any of that knowledge of your true physical self. "Intent" is an extremely important factor in not only projection, but our physical reality as well. It's what I've learned to be the driving force behind *EVERYTHING* you do, say, act... everything. It's so important, I'm currently trying to write an article to bring it all together in a logical sense. It'll be a while still. whoops I may have butchered my point lol. For me when It comes to general thinking instead of being silent I find myself unable to phase to the non physical. Also the my statement I made yesterday doesn't apply to everyone because everyone has different experiences. It just so happens that this works best for me. In my experience it feels like in some instances when I think about something the thought can feel forced by my intent and takes more energy to understand. It is just easier in my experience not to think and just drift into the non physical without acknowledging my thoughts or body inputs. I think the "bottom line" is to find a focus technique that works for yourself personally. Maybe it is this simple, but achieving it isn't simple for a number of reasons. I find that concentration delays the sleeping process - if I want to fall back asleep in the early morning I can do that within a few minutes. If I decide to concentrate I will lay there for longer before getting into the sleep zone. Usually I just start thinking "this is stupid" because I could have just gone back to sleep and had a lucid dream before now. It seems as if focus is counter productive to the goal because sleep is achieved most quickly by doing the opposite of focus. At a deeper level, finding a focus is only a useful tool if you have the ability to focus. As a child I was diagnosed with an attention disorder by a psychologist. It doesn't bother me, but it has caused problems because when people talk to me I stop listening after 5 seconds. The same thing would happen in the lecture theaters at university to the point that the lecturer would call me out when my eyes glaze over mid class. The place I go after the 5 seconds is like a form of projection because I lose all awareness of physical surroundings, but I can't control it. It is the type of rambling focus that leads to sleep. When I try to focus manually I quickly drift away from it or become disinterested. It takes something really captivating to keep me focused. When I watch TV my partner will often ask me if I heard "that" and I wasn't even aware of the TV anymore. I bring my focus back and 5 seconds later I have missed the next thing. I have found one thing that does work for long periods, playing intense video games that require 100% of your focus and captivation to play effectively. I am not sure how to translate something so interactive into a focus I can use for projection. I see that we aren't both on the same page here. My bad! I thought you were talking about having a projection from a conscious state of mind, as in a conscious shift or OBE, going through the entire process, not just waking up in a LD. This seems to be the problem with combining all these LD, AP and OBE together as one. There are so many misinterpretations of our meanings and things get confused quickly. I agree with your statement though that maintaining a conscious focus can be counterproductive while going to sleep as normal. I will say something else to people as a small warning. Be careful what you wish for. I practiced many a night to stay conscious into my dreams. I finally got what I wished for, but it was at the expense of completely destroying my regular lay down, close my eyes and fall asleep routine. Instead I would lie down, close my eyes and not be able to turn off for hours on end. It took quite a while to learn how to turn on and off the Tibetan Dream Yoga. For awhile it was automatic. I also found this with wanting to remember "all" of my nightly dreams. Once again, I got what I wanted, but at the expense of waking up after every single dream for nights on end. That got to be very exhausting. I thought you were talking about having a projection from a conscious state of mind, as in a conscious shift or OBE, going through the entire process, not just waking up in a LD. Your impression was correct, I was referring to the conscious projection. However, sleep still plays a part in this technique doesn't it? One can try to go from wide awake to an astral reality in the span of one second, collapsing in a heap on the floor like someone has pulled the plug in The Matrix. But who is realistically going to have success with this, especially in the early phases? We lack the focus to override our senses like that without a lot of practice. Our crutch is to automatically have the senses turned off for us by the slightly ambiguous "body asleep" mechanic. If you can manage to stay focused at the moment of sleep it is a certainty that you will experience extra-reality of some description, even if it is just the void. The reason I question focus is because it does seem to undermine this reliable method. How can we accelerate the sleep process, while maintaining focus, when maintaining focus decelerates the sleep process? I can't help but feel that this isn't right because the technique fights itself. There should be a path of least resistance here...the weakest focus possible to maintain awareness while trying to fall asleep? Once again, the LD, AP, OBE comparison is going to come into play. Sleep is NOT a part of a conscious AP or even a conscious OBE. Sleep is important to a LD simply because you need to become aware you are sleeping and in a dream in the first place. Sleep Paralysis, which occurs during sleep, may lead to a conscious AP or OBE. But many people don't get SP. I have asked many people and I would say out of 30 people, 1 person reported experiencing SP. It's funny though because out of those 30 people, only 1 or 2 even remembered dreaming on a regular basis. I know it's hard to believe, but we are on a Forum named the Astral Pulse, so we have already "awoken" to this or at least we are in the process of awakening to it. We don't lack the focus to override our senses. Instead we lack the belief that we can. Most of this practice is about unlearning what we have learned. Hence my "change your mindset, change your reality" quote that I always use ...or what I also say "remembering what we once knew". Mind awake/body asleep doesn't mean that you lose your conscious awareness. It just means that you no longer are focusing on your physical body, which in turn leads to a shift in your awareness. Your physical body is and should be the only thing going to sleep. If you are using mind awake/body asleep and are losing your conscious awareness, then it most definitely will not lead to a immediate AP/OBE (in the true sense of the words), but may end up in a LD sometime during the night, purely by your intent. A trance, which one can enter attempting a AP is not sleep. Even in a deep trance one is still consciously aware. I am surprised to read that sleep is not part of conscious projection. Most of my friends do not remember their dreams either. I believe in...the power of belief, but I don't understand belief at the level required to do that? I know that I can create a reality, I know I have done it, yet I lack the belief to do it at will. I agree with everything else you have said, but we are still misunderstanding each other I fear. "Your physical body is and should be the only thing going to sleep"
Yes, but when it comes to actually achieving this state isn't there a synchronicity between mind and body going to sleep? For example if my mind goes to sleep, my body doesn't stay awake for 40 minutes afterwards. If I stop my mind from going to sleep, it takes my body 40 minutes to go to sleep perhaps. If I become aware after falling asleep I am able to astral project. It therefore seems logical that putting the mind to sleep also puts the body to sleep. From there if you could restore your awareness immediately after falling asleep you could project. In this context focus to keep your mind awake is counter productive, you want to lower your awareness to the borderline, try to cross over and come back? I can back this up as I had to learn how to turn it all off to get a decent night's sleep. You don't want that, at least not long term. If you are actively trying to project from a conscious state then this seems to be the idea. Basically this is about trance or meditation where 'sleep' is not the goal at all. This is how I usually project. I fall asleep with the intent to become aware as I start dreaming. Once aware anything is possible such as simply observing the dream, interacting with the dream OR projecting elsewhere. I prefer this as it's simple and effective. Thaomas, every night when you go to sleep as usual, your mind and body are in sync with the goal of going to sleep. If you wish to learn Tibetan Dream Yoga, then you need to break that sync and have your body go to sleep, but your mind to remain awake. The same is with the act of Phasing or any other AP/OBE technique. When you divert your focus into another area (aka the Astral), your body does go into shut off mode, as in sleep, because you are no longer consciously controlling it. The body does that normally every night as it is. It can take anywhere from 10 minutes to 2 hours to finally be able to shut the body off and keep the mind aware, leading to a projection of some kind. This only happens when you are extremely stressed or are attempting a OBE. But in your defense, I saw a commercial on TV last night that said the average person can only maintain 8 seconds of focus, before they divert it to something else. People that have APs, OBES and LDs aren't your average person. We seem to have the ability to hold our focus elsewhere for sometimes a very long period of time. That's why I say "practice, patience and perseverance" is greatly needed to achieve (on a regular basis) some form of non local states of consciousness. This is why I use my "etheric exercises" on a daily basis. It teaches me how to maintain a strong focus away from my physical body. I find that very helpful to this practice in general. I don't need to focus on a apple or a square. I use my backyard and all of the trees, bushes, the garden, etc. as things I try to explore while in the etheric realms. Believe it or not, there is always something new to find. I found the same thing when I was new and always used my "Happy Place", which was a Island Paradise, as my focus target. I would explore and always find some new adventure there. Our "Happy Places" are very easy to visualize. They could be a place you saw in a Movie or TV show or even a place that you are very familiar with that you may have visited on a vacation. Your memories can be always be utilized in the practice.